Our mystery seeds from last week came from a Chinese elm tree, Ulmus parvifolia. 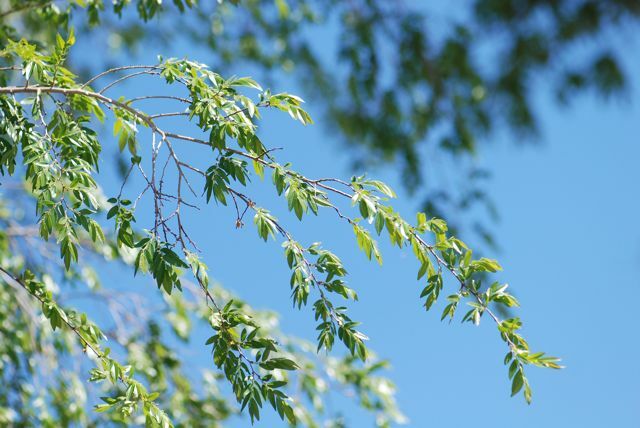 Because most of our American elms were destroyed by Dutch elm disease, people have started planting Chinese elms, which as the name suggests are originally from Asia. It is much more resistant to the Dutch elm disease. 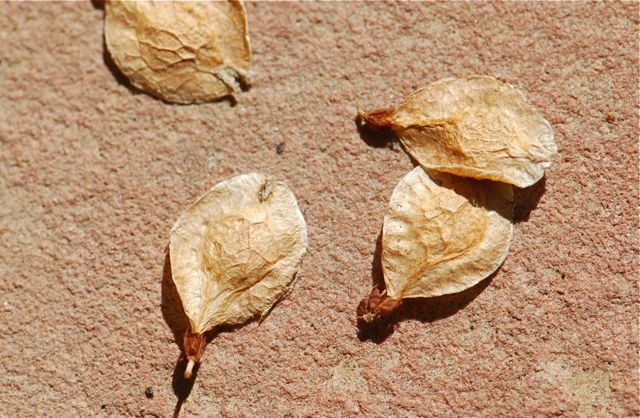 Chinese elms produce numerous winged seeds, technically samara, in the fall. The samara are dispersed by the wind when they mature. 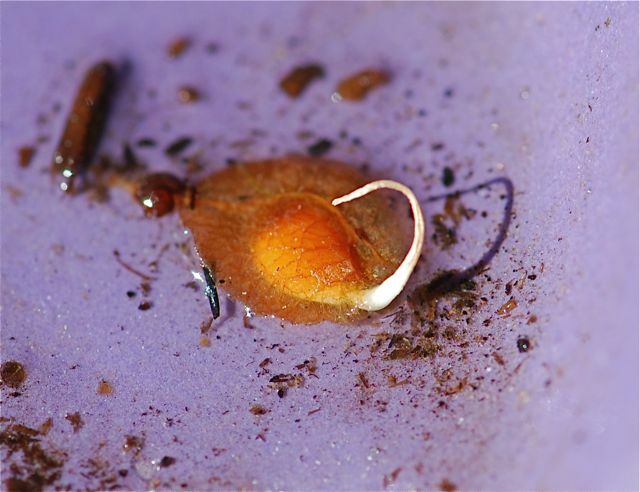 The seeds readily germinate in the spring. First, the root emerges. 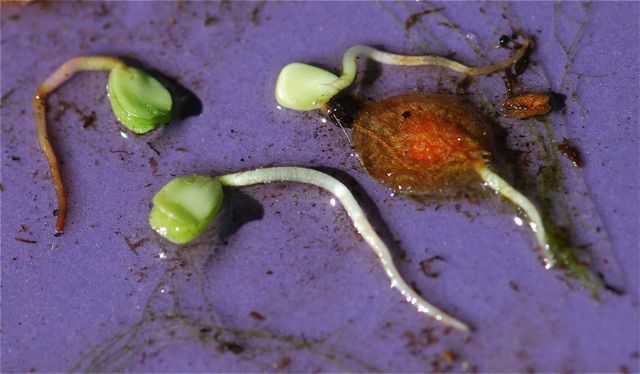 The seed coat slides off, exposing the green, round cotyledons. 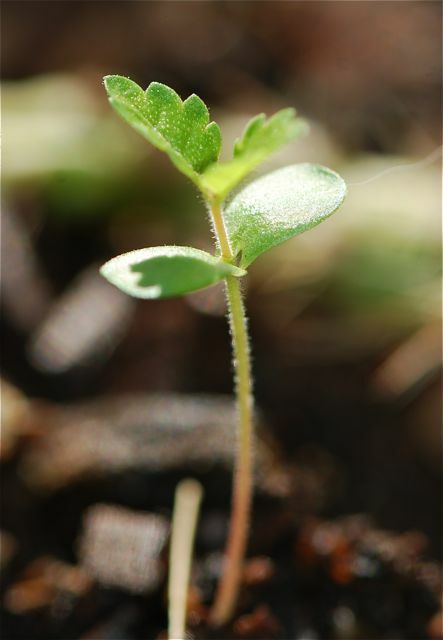 If the seed is in a suitable place to grow, the cotyledons emerge from the soil. Between them the first two true leaves begin to grow. The little trees are all ready to take off. 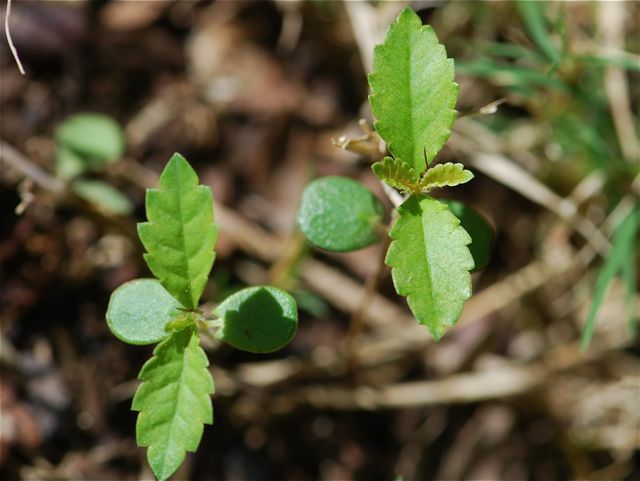 We have Chinese elm seedlings everywhere! 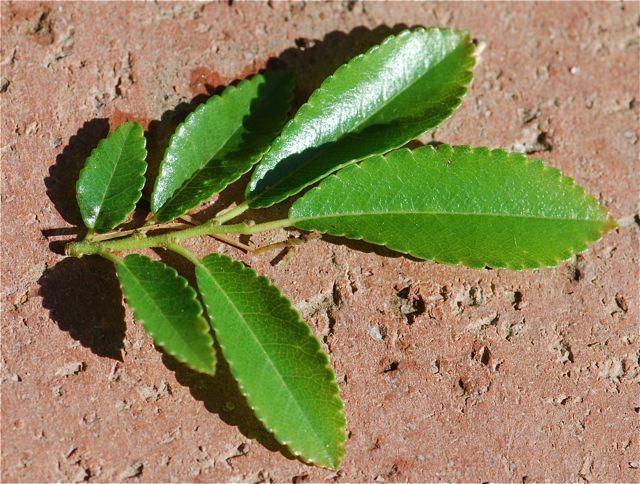 The leaves are simple (not compound), with teeth around the edges. 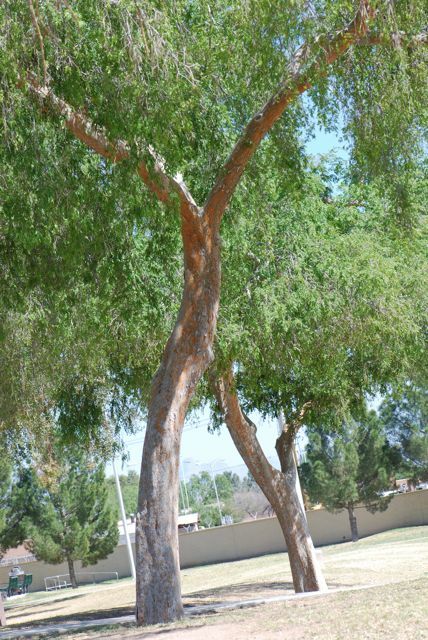 The mature tree is often grown in parks here in Arizona. It has a pleasant fan-shaped crown, and the branches drape nicely. 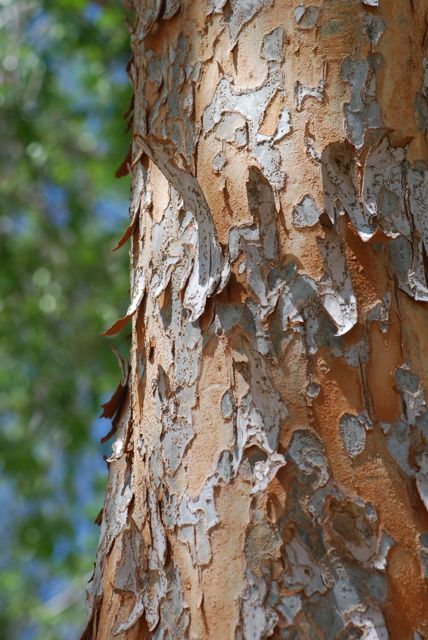 The most striking feature of the Chinese elm tree is the mottled and peeling bark. It often shows orange underneath. Unfortunately I had on the wrong lens, so this photograph isn't the best presentation of the full-sized tree. 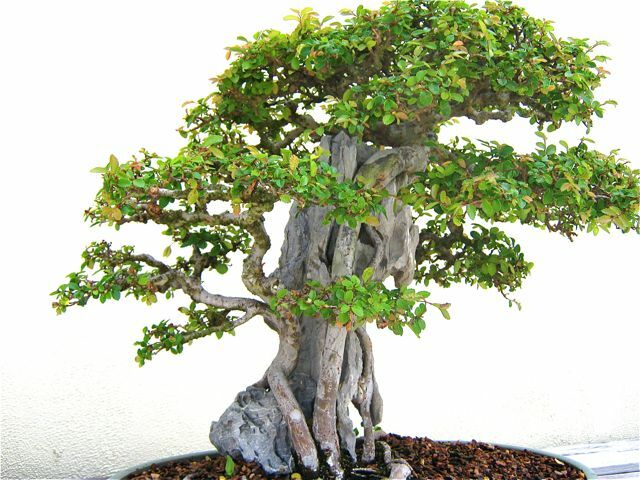 Because of their unusual bark, and also probably because they produce seedlings so easily, Chinese elms are often used for bonsai. It will be interesting to see how the Chinese elms fare as landscape trees over time. They definitely have good qualities, and less desirable qualities, as well. Have you ever seen a Chinese elm? What do you think of them? to grow others, do we keep the seeds dry in the mean time (its late Nov) until spring and then plant them, or can we start now ? Do you have a sunny place to grow the seedlings over the winter? Here, we found our seeds germinated readily if planted in the fall, but you could try both ways and see what works best for you. I was wondering if you would be willing to ship some seeds or seedling to me? Feel free to contact. Jesse, I'm sorry to say all the Chinese elm trees on our street have been taken down. If I see one in the next week, I'll let you know. Roberta, why did they take them all down? Was there an issue with the trees? The trees do produce a lot of debris. The seeds also germinate readily here, which means having to constantly deal with seedlings cropping up where they aren't wanted. can it grow in india?? Oh yes. It is native to Asia, including the eastern region of India. I have a home with a 1955 chinese elm tree hedge. They are trimmed 3 times a growing season, to 4 foot., here in Wyoming. We are beginning to have some age issues. To replace, by seedling or 4-5 footers, is our question? Perhaps you can find someone who lives in your area to give you some advice? Readers have any suggestions?